Hair and Humidity- Why Can't We Be Friends? / Hair and Humidity- Why Can’t We Be Friends? Hair and Humidity- Why Can’t We Be Friends? Summertime and the living is easy- for everyone except our hair. Summer means humidity and humidity means frizz. Sigh! Why is it so hard? It’s a never ending battle but don’t fear! There are ways to fight this fight and emerge victorious. Hair and humidity – Why Can’t We Be Friends? Frizz definitely varies depending on the humidity levels in your city or town, your hair type and the products you use. I’ve lived in two very different regions of the US (the Northeast and Central Texas) and I can attest that my hair frizzes in different ways in the different places. Frizz means there’s a lack of moisture in your hair and so the follicle opens up to the moisture in the air when it’s humid out. So the first step is to condition your hair really well. Make sure your hair is healthy from the start! Use a good conditioner in the shower, which means a sulfate free one. Sulfates lay on the surface of your hair and don’t penetrate to treat the root. 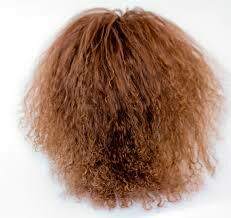 Once a week (except for very fine haired ladies) use a leave-in conditioning treatment. The more you can ensure your hair is moisturized on it’s own the less it responds to the environment. I know lots of people swear by their hair dryer but in these muggy summer months, try to lay off of it. The hot air dehydrates and separates your hair strands, making it more susceptible to humidity. Let your hair air dry and style afterwards. You can get one over on frizz in the way that you style your hair too. I know I hate having long hair on my neck when it’s hot outside. Try a shorter hair style for the summer if you’re feeling bold! Tight curly haired ladies should go for lots of short layers while those with looser waves can choose longer waves. If you’re not ready for the big chop, there are lots of chic and sleek hairstyles that are also anti-frizz. Pull your hair back into a bun when it’s damp and smooth the top. Ensure it stays smooth with a light dusting of hair spray. Keeping your hair in a tight bun means your hair cuticles are locking in that moisture and keeping your hair out of your face. Go full on Katniss and try some side braids. Fishtail or French braids are a nice way to liven up a traditional one and are perfect for a work-to-play look. Pull your hair directly back into a high ponytail. Keep the top smooth but allow your hair to get as big as it wants in the pony. Controlled volume, yay! Use bobby pins to control the little fly-aways at the back on your neck to maintain a smooth look all over. Fighting frizz takes some planning and some care but it absolutely can be done. Sometimes I even like to embrace how big my hair gets and tell myself I look like a rockstar! How do you fight frizz in these muggier, humid months? Juicing or Blending: Which is Healthier?